We have cast off our -10 (not that I ever had it but let's go with it) sec status. We have embraced the incursion that has hit our pocket! Forever shall the lurid green washed not really so red anymore Nebula of the Almur constellation focus our goals. Our hopes. Our dreams. It shall be the Guardian, Abaddon, Napoc, Tempest, Vindicator, and whatever else we can shake out of the station to dock up in our fleets. Forever shall the rep drones over power the combat drones. Let each red cross be tagged and bagged as its wreck shatters across the sky! The only gatecamps that matter are the ones that stand between us and our goal. ISK. No lure shall be held by the high sec, the war dec, because low sec is the best sec. 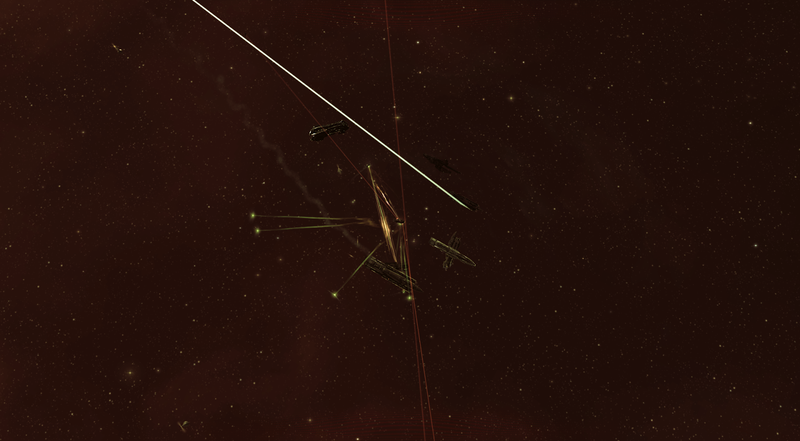 What was that fleet op? Warp to that beacon. That glorious beacon. Upon it is the holy font of ISK. Of glorious, glorious ISK. Let not your attention be directed. The cyno? We shun that. Rat-a-tat-tat goes the guns. Isk! Glorious ISK! Let the sky sing!